A new youth club and mentoring service for young people living on the Bouverie estate will launch during a day of action in the Vernon Terrace Community Centre on Monday 4 March. We are appealing for volunteers to help with the smooth running of its all-weather Winter Shelter which opened its doors on 14 February and will open every night until the end of March. Northampton Borough Council has chosen to support gritting work carried out by Northamptonshire County Council to cover areas which have been removed from rounds. Northampton residents are invited to share their views on the draft appraisals and management plans for two existing conservation areas in the town. A civic ceremony and community event are set to mark Holocaust Memorial Day in Northampton on Monday, 28 January 2019. A proposal for introducing a charge for the collection and storage of abandoned shopping trolleys will be discussed at a Cabinet meeting on Wednesday 16 January. Volunteers are urgently wanted to help run Northampton’s Winter Shelter in case temperatures drop over the next couple of months. A business on Wellingborough Road has this week been fined for breaching a Community Protection Notice for overflowing and insecure commercial waste bins. Local businesses could see their rates reduced for a second year running following the recent review of a relief scheme launched in April 2017. An opportunity has arisen for a proactive individual to join Northampton Borough Council's Standards Committee. Festive party-goers are being reminded of how they can stay safe on nights out this Christmas and New Year. Northampton businesses and residents are invited to input ideas for Northampton Borough Council’s Overview and Scrutiny Committee work plan for the next 12 months. Residents, businesses and visitors to the town are invited to share their ideas about Purple Tuesday, a new national initiative aimed at improving the shopping experiences of people with disabilities. 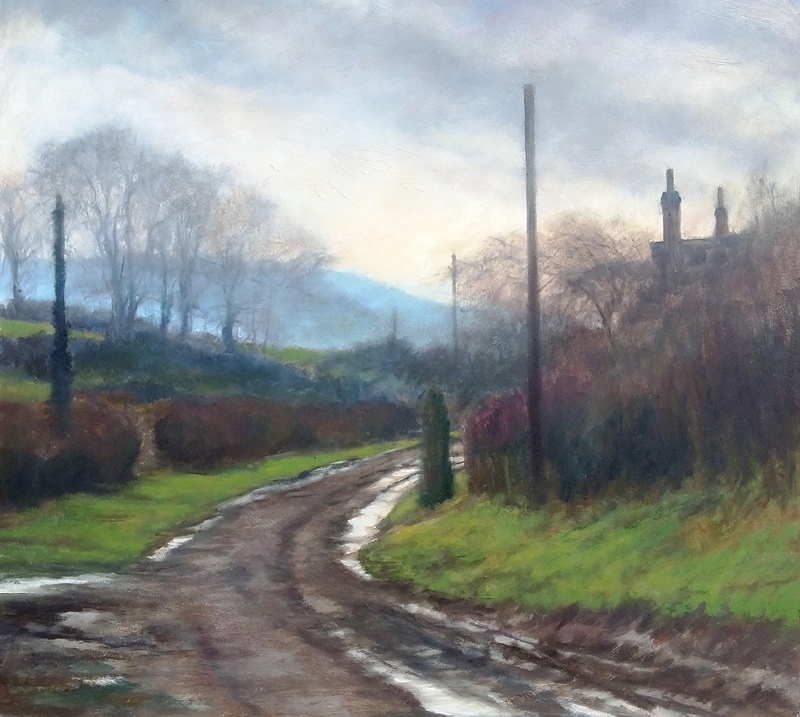 Emporium Way will be getting a face lift this winter thanks to the skills of local artists. A ceremony to mark World AIDS Day will take place on the Guildhall steps on Monday, 3 December. A new campaign promoting local organisations who support survivors of domestic abuse and sexual violence is to be highlighted during partnership activities between 25 November and 10 December. More than eight secondary schools in Northampton have signed up to receive the #SaveLivesNoKnives education programme by the end of 2018. Six weeks of partnership activities began in Northampton town centre this week in a bid to improve public safety and reduce anti-social behaviour in the run up to Christmas. Team GB Wheelchair Tennis athlete, Dermot Bailey, will lead celebrations on Monday, 3 December for International Day of People with Disabilities. Eight young people got a taste of Council life at a Guildhall event during UK Parliament Week. Northampton Borough Council has today published background papers regarding upcoming work on the town’s Eleanor Cross. A major improvement of street lighting in the town will commence next year following an inspection of 1300 Northampton Borough Council owned lights this autumn. International Men’s Day will be celebrated in the town this year with a health event on the Market Square during Saturday, 17 November. A Northampton-born professor who led a team of scientists responsible for inventing the MRI scanner, is to be made a Hereditary Freeman of the Borough of Northampton, at a Guildhall ceremony. New models for the procession and live entertainment are set to take centre stage at the annual Diwali celebrations on Northampton Market Square this November. Celebrate Northampton’s diversity this Hate Crime Awareness Week (13 to 20 October) by signing up to become an equality ally. New students in Northampton are being offered easy tips for staying safe at night time as part of an ongoing personal safety campaign. The roll-out of the #SaveLivesNoKnives knife crime awareness project to local schools began this week at Kingsthorpe Community College. People in Northampton are being asked to have their say on how proposed changes to the Council Tax Reduction scheme may affect them. Local male role models wanted! The search is on to find positive male role models as part of exciting new plans for celebrating International Men’s Day in Northampton this year. Parks, heritage, town traditions, libraries and the market square are top five in a list of things that Northampton residents consider important. Northampton dog walkers are being encouraged to clear up after their pets with the help of a ‘Walk this way’ trail in Bradlaugh Fields. Improvement works at Delapré Abbey are to begin next week following a busy summer season. Over 30 historic buildings, churches and venues across Northampton will be open to the public for free from Thursday 6 to Sunday 9 September, as part of the national Heritage Open Days event. A new online permit application system has gone live, enabling customers to apply for parking permits 24 hours a day, seven days a week. A community safety project that makes a point of how young people can stay safe will be launched at an event on the Market Square, Northampton, on Wednesday, 29 August. An initiative that aims to reduce knife crime and anti-social behaviour amongst local young people has been given a funding boost this week. The proposed local government reform submission papers are now live on Northampton Borough Council's website. A weekly partnership initiative is helping to create a safer town centre environment for families and visitors to enjoy during the summer holidays and beyond. A specialist lead consultant and an expert team of conservators have now been appointed to review the repair works need to Northampton’s Eleanor Cross. The proposed local government reform submission papers will be available on Northamptonshire councils’ websites from 3pm on Friday 17 August 2018. Northampton’s Community Forums are calling out for new members this summer. Northampton’s Youth Forum are inviting local young people to a free event in Becket’s Park on Saturday, 11 August, in celebration of International Youth Day. A week of community action in St David’s will help to kick start the summer holidays from Monday, 30 July. Northampton’s Community Safety Partnership has been improving community safety by tackling crime and anti-social behaviour in the town with the help of CCTV. An initiative will take place during the summer holidays in a bid to tackle anti-social behaviour and improve the town centre environment. Delapré Park and Abington Park have once more been named as two of the best green spaces in England. This year’s Love Park Week, 13 to 22 July, people are encouraged to get out and enjoy Northampton’s beautiful green spaces in the sunshine. Northampton will be showing their support to England’s World Cup bid with a flag raising the morning of the team’s next game. A special service remembering the Srebrenica genocide will take place at the Guildhall on Wednesday, 11 July. The “I’m Still Me!” anti-bullying conference returned to Northampton this week, attracting more than 60 educators from 39 schools and organisations across the county. Northampton Borough Council is seeking residents’ views on what they feel is important about the town, ahead of completion of a proposal for local government reform in Northamptonshire. A number of celebrations will be taking place to mark Armed Forces Day in Northampton this June. Plans to improve the culture, heritage and tourism of Northampton and increase the number of visitors to the town were agreed at Northampton Borough Council’s Cabinet meeting last night. The much needed repair works for Notre Dame Cemetery are moving forward thanks to the fundraising efforts of Northampton Borough Council and Northampton Notre Dame Association. Views are being sought on Northampton’s market via a survey available online, at the One Stop Shop in the Guildhall and on the Market Square. Northampton Borough Council will outline its plans for Local Government Reform at a Full Council meeting on Monday, 4 June. A week of community activities are planned in St James at the beginning of June, to bring people together and help clean up the area. Oak Apple Day will be commemorated in Northampton with a special thanksgiving ceremony at 11.30am on Tuesday, 29 May, at All Saints’ Church. Historic England will contribute towards urgent conservation work on Northampton’s Eleanor Cross. The Mayor Elect of Northampton, Councillor Tony Ansell, will be planting a tree in Abington Park on Saturday,19 May, to mark the wedding of Prince Harry and Meghan Markle. Residents are being invited to come together at the Guildhall on Thursday, 17 May to join activities in support of International Day Against Homophobia (IDAHO). A ceremony to welcome Northampton’s new Mayor into office will take place at the Guildhall on Thursday, 17 May. Homelessness and rough sleepers, the relocation of the University of Northampton into the town centre and Northampton post unitary will be investigated by scrutiny panels during 2018/2019. A ‘pitch perfect’ styled singing competition is to be held at The Deco Theatre this summer to celebrate the town’s talent and diversity. A rogue landlord with a property in Northampton has been ordered by Northampton Magistrates to pay £36,000 in fines plus legal costs after pleading guilty to twelve charges. We’re on the hunt for the best-managed licensed premises in Northampton. Entries are now being invited for the Best Bar None Awards 2018. Two community groups are joining forces to create a planted shoe trail around the town centre for this year’s Northampton in Bloom competition. Local people and organisations will be coming together in a rainbow of activities to celebrate Northampton Pride, in the UK and USA. Plans to bring Northampton Castle to life will be revealed at a special event on Monday, 30 April at the castle site off the Chalk Lane car park. This year, 17 local support organisations will benefit from the support provided by Northampton Borough Council’s Partnership Grant Fund. Frequent park goers are being invited to get involved in a week of action at Northampton Racecourse, starting on Monday, 30 April. Ten local residents and a charity have been selected as the winners of Northampton’s 2018 Heart of the Community Awards, after being shortlisted from 34 nominations. Up to £1,000 worth of damage has been caused to Abington Park’s popular bird aviary after a hole was cut in the side of one of the cages. A new play area on Aberdare Road is to be officially opened by the Mayor of Northampton, Cllr Gareth Eales, on Friday, 13 April. Residents are being called on to share their views on the position of a proposed new foot path across Bradlaugh Fields. Guildhall Square Courtyard and the Cloister walkway will be closed from Monday 2 April – Monday 30 April while scaffolding is erected to allow roof works take place. Northampton in Bloom 2018 officially launched this week and entries are now open for people who want to take part in the competition and help to transform the town with floral displays this summer. A local charity founder was crowned Northampton’s Inspirational Woman for 2018, during a presentation on Saturday, 10 March. Rectory Farm residents will see their local park undergo a small facelift later this year, with two pieces of new equipment being introduced and a general tidy-up planned. The support that Northampton Borough Council has pledged to defence personnel, has been acknowledged through the Armed Forces Covenant Employer Recognition Scheme. The finalists for the Inspirational Woman Award 2018 have been announced today, Friday 2 March. Northampton Borough Council is excited to announce that it has appointed George Candler as its new chief executive. This Safer Internet Day, children and young people can learn how to stay safe online during an awareness event at The Deco Theatre. Communities in and around Rectory Farm are being encouraged to share their thoughts on plans for updating the play equipment at their local park. The introduction of a new public Spaces Protection Order (PSPO) has seen Northampton’s Marble Arch alleyway gated. The Audit Committee oversees all processes for risk, control and governance. The purpose of the Audit Committee is to provide independent assurance and to support strong financial management and good governance. Members of Blackthorn community pulled together on Saturday, 9 December to clean up parts of the area. Northampton Borough Council is inviting residents to put forward their ideas for the Overview & Scrutiny Committee to investigate over the next 12 months. Northampton Borough Council is reminding festive party-goers of the importance of personal safety this Christmas. In particular, the council is keen to raise awareness of how to identify licensed taxis and private hire cars. Local disability health and support organisations will be setting up shop in the Grosvenor centre on Sunday, 3 December. Local people are being invited to attend the public launch of a joint project celebrating local women’s stories of resilience at The Deco Theatre on Monday, 27 November. A ceremony to mark World AIDS Day will be held in the Courtyard at the Guildhall in Northampton on Friday, 1 December. Northampton Borough Council is showing its support for independent traders by encouraging people to shop local this Small Business Saturday (2 December). An igloo cinema is throwing open its doors next weekend. Northampton Borough Council is inviting shoppers to enjoy free showings of fun and educational, Christmas-inspired animations throughout the Christmas shopping period. A series of partnership events will be taking place in the town centre during November and December to raise awareness of gender-based violence. Two local outstanding sportswomen will be given the honour of switching the town’s Christmas lights on with stars of this year’s pantomime on Saturday, 18 November. A strategy to reduce the number of people sleeping rough in Northampton is having a positive impact. Join us for a magical journey through a snowy town centre Lapland as we celebrate Christmas in Northampton, with family-friendly activities throughout November and December. Northampton will be honouring members of the armed forces who died in the line of duty with a Remembrance Sunday parade and service. Those who work with children and young people within the community or voluntary sector are invited to attend an informal talk on Child Sexual Exploitation (CSE). Northampton residents are being encouraged to share their views on draft appraisal and management plans for two conservation areas in Great Houghton and Great Billing. Northampton Borough Council is reminding people of the importance of getting it right when you go out in town during the evening, especially on busy evenings around Halloween. Northampton Borough Council is set to sign a new charter showing its commitment to supporting employees who become terminally ill.
A new virtual reality app that allows you to take a look around Northampton as it once was will launch this Halloween. A multi-agency operation conducted this week saw safety checks completed on more than 40 taxi and private hire vehicles. Northampton Borough Council is looking for two proactive Parish Councillors to join their Standards Committee. Abington Park Museum will play host to a range of workshops and events for children and families this October half term. On Thursday, 19 October, Northampton will mark the 100th anniversary of the Zeppelin raid of St James. More than 25 food and drink producers from across the region are set to sell their wares at an Autumn Food Fair at Abington Park Museum this weekend. Northampton Borough Council is seeking an independent chair for one of its foremost Committees. Members of the public are being asked to contribute their views on a host of sites put forward for potential development as part of the Local Plan Part 2. To celebrate both National Customer Service Week and National Get Online week, Northampton Borough Council is hosting a public coffee morning to promote the broad range of services on offer. Works to refresh the look and feel of Northampton Market has begun! ​​​​​​​Northampton has achieved the Gold award in this year's East Midlands in Bloom competition. Northampton Borough Council’s Youth Forum is set to inspire others with their research into local young peoples’ gambling and gaming habits. By-elections for the wards of Eastfield and Nene Valley are to be held next month. So far 44 men who had been sleeping rough or facing homelessness in Northampton are now living in stable accommodation after staying at Northampton’s night shelter. A full day of family fun is set to take place at Abington Park Museum to celebrate park life. Culture and tourism, cemeteries and a dementia friendly town topped the list of suggestions made for the Council’s scrutiny panels to investigate during 2017. Northampton’s monument to Lieutenant Colonel Edgar Mobbs is now a protected site. Inspirational figures with a significant connection to Northampton have been brought to life through an augmented reality heritage trail. THE Business Incentive Scheme in Northampton, now into its fourth year, has created more than 630 jobs in the town. Northampton Borough Council is asking everyone to make sure their electoral details are up to date and promoting the benefits of taking part in the Annual Canvass. On the 100th anniversary of the fall of local hero Edgar Mobbs, Northampton Borough Council is hosting a celebration of prominent individuals from the town’s past. Northampton Borough Council will be installing bollards to restrict vehicle access to four more of the town’s green spaces this summer. People living in the Briar Hill area of Northampton are invited to take part in a week of action organised by the Northampton Community Safety Partnership. People are being encouraged to get out and enjoy Northampton’s green spaces during Love Parks Week, 14 to 23 July. Residents and visitors are invited to join a special service at the Guildhall, as Northampton joins communities across the world in remembering the Srebrenica genocide. Northampton is taking part in the East Midlands in Bloom regional competition for the sixteenth time this year and judgement day is set for next week. Local not-for-profit organisations are being offered a helping hand by the Borough Council’s Small Grant Fund, which opens for applicants today. People living in the Kings Heath and Spencer area of Northampton are invited to take part in a week of action organised by the Northampton Community Safety Partnership. Notices advising of suggested new measures to help monitor car parking at Radlands Plaza Skate Park and café will be installed in the area mid-July. Measures to improve traffic flow around Northampton town centre are progressing well report Northampton Borough Council and Northamptonshire County Council. The planting for Northampton in Bloom is well under way and throughout June hundreds of floral displays will be popping up throughout the town centre. The east region of national accountancy firm Haines Watts has opened its new flagship headquarters in Northampton – with help from Northampton Borough Council’s Business Incentive Scheme. The town has many beautiful parks and open spaces that people can enjoy during weekend and holiday activities. Oak Apple Day will be commemorated in Northampton by a special ceremony in the town centre. The site of Northampton Castle has undergone an archaeological survey this week with the aim of mapping its surviving remains. The Borough Council’s Call Care service is celebrating its 30th anniversary with an afternoon tea at the Guildhall, on Friday, 26 May. Northampton Borough Council is calling for local people with an interest in local issues to join its Standards Committee. A ceremony celebrating Northampton’s new Mayor will take place at the Guildhall on Thursday 18 May. A number of Borough Council events will be taking place on Wednesday 17 May in support of International Day Against Homophobia, Transphobia and Biphobia. A day of fun entertainment, displays and activities will be taking place on Northampton market on Saturday 20 May, as part of the national Love Your Local Market celebrations. This year Northampton Borough Council has allocated almost £600,000 to support local agencies, charities and community groups to continue their work, helping communities and residents in the town. Northampton Borough Council is reminding traders of their commitment to food safety after a restaurant and proprietor were prosecuted for failing to comply with Hygiene Improvement Notices. Five local residents have been announced as the winners of Northampton’s 2017 Heart in the Community Awards, after being shortlisted from 24 nominations. The “I’m Still Me!” anti-bullying conference is set to return to Northampton for a third time this spring. Northampton Borough Council’s Planning Committee has granted planning permission and resolved to grant listed building consent for the development of a creative hub and Leather Conservation Centre. Local elections will be taking place in Northamptonshire on Thursday 4 May 2017. 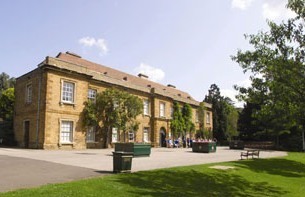 Abington Park Museum is to commemorate the centenary of the fall of The Shoemakers. The results of extensive public consultation on environmental services in Northampton have helped shape a new specification for the service. Northampton Borough Council’s Midsummer Meadow car park will reopen this weekend after it was handed back by the University of Northampton. The highly-anticipated launch of Delapré Abbey’s Conservatory Café will take place on Monday, 3 April, ready for the Easter school holidays. The town centre’s first Public Spaces Protection Order will be going live on Saturday 1 April 2017, following a consultation with local businesses and residents last year. The first floral displays of Northampton in Bloom 2017 have been installed this week and Northampton Borough Council is appealing for members of the public to get involved. People living in the St David’s area of Northampton are invited to take part in a week of action organised by the Northampton Community Safety Partnership. Northampton Borough Council is proposing to introduce further planning measures to manage the number of houses of multiple occupancy (HMO) developed in some areas of Northampton. A new personal safety campaign, launched this week, focuses on personal responsibility and highlights steps everyone can take to make sure their night goes well. Northampton Borough Council is hosting a tea dance at the Guildhall on Saturday 25 March. People on low incomes could be eligible for further help with their housing costs through the Discretionary Housing Payment (DHP) scheme. Random vehicle stops to assess the safety of taxis and private hire vehicles operating in Northampton took place this week. A briefing is being held for prospective candidates and agents for the Northamptonshire County Council elections on May 4. Local women are being invited to attend a free event at the Guildhall on Saturday 4 March in celebration of International Women’s Day. Almost 8,000 people responded to Northampton Borough Council’s consultation that will help shape the future of environmental services in the borough. Hundreds of people joined the local Chinese community on Sunday 12 February, in celebrating the Chinese New Year of the Rooster in Northampton's Market Square. Northampton’s emergency night shelter will open its doors for the first time this evening [Monday 6 February]. Nominations are now open for the Heart of the Community Awards 2017. People are being asked to put forward the friends, neighbours and family members that they consider to be unsung heroes. Eight more small businesses are presently reaping the benefits of Northampton Borough Council improvement grants. Holocaust Memorial Day will be marked nationally on Friday 27 January and Northampton will be recognising the awareness campaign with two public events hosted by Northampton Borough Council. Northampton has bucked the national trend with Christmas footfall figures up more than 2.5 per cent on the previous year. Northampton Borough Council is calling on people to give their views on the council’s budget proposals for the next financial year. A man has been issued with a Criminal Behaviour Order by Northampton Magistrates’ Court this week [Wednesday 21 December] following allegations of persistent begging. Northampton Borough Council is proposing a small increase in council tax, the first increase in the Borough’s element of the tax for five years, in its draft budget proposals for 2017/18, published today (December 6). Northampton Borough Council has joined forces with local cab drivers to help people understand the differences between a hackney or private hire cab, to help keep passengers safe. Northampton Borough Council has teamed up with Network Rail to clear graffiti from buildings on the trackside approaching Northampton. Northampton Borough Council is asking people to share their views on the proposed budget for 2017/18. The once iconic Abington Park train will be making a return next year as part of Northampton Borough Council’s commitment to improve play equipment across the Borough. Northampton Borough Council has made provision for £100,000 to be invested in new play equipment in 2017/18. A new initiative which will focus on replacing play equipment damaged beyond economic repair is set to be discussed at Northampton Borough Council over the coming weeks. Northampton Borough Council is showing its support for independent traders by encouraging people to shop local this Small Business Saturday (December 3). Northampton residents are being asked to share their views on new proposals to reduce the environmental impact and improve the condition of the town’s taxi and private hire car services. A ceremony to mark World AIDS Day will be held in the Courtyard at the Guildhall in Northampton on Thursday 1 December. Northampton Borough Council is reminding people to be wary of phone fraud following a report of a suspicious phone call from a member of the public yesterday [Tuesday 22 November]. St Giles Street will be closed to traffic on Sunday 27 November to allow the new road surface to be cleaned of its dressing and the parking bays to be repainted. Northampton Borough Council’s Audit Committee will receive a report from internal auditors PWC into the loan to Northampton Town Football Club at a special meeting on Monday 5 December. Northampton Borough Council will be holding an information event at Weston Favell Shopping Centre to mark International Day of Persons with Disabilities on Saturday 3 December. Northampton Borough Council has been shortlisted for a National Hate Crime Award, after being nominated for their work developing a number of community forums and events in the town. Northampton Borough Council is reminding residents of the importance of returning the annual Household Enquiry Form that they were sent during August, by the deadline of Friday 25 November. Not-for-profit organisations that apply for Northampton Borough Council’s Partnership Grants are to be offered greater security with the introduction of three year grants. A Community Covenant stating a commitment to support and honour members of the armed forces living in Northampton is due to be discussed by Northampton Borough Council this month. Northampton Borough Council has acted quickly following a spate of graffiti in the town centre this morning [2 November]. Planned improvement works will be taking place at Towcester Road Cemetery during November. Street Marshals will be on duty this Halloween, providing support and advice to ensure the safety of revellers. St Giles Street has reopened this afternoon [Friday 21 October] six weeks ahead of schedule, following a programme of works to improve this popular shopping street. Northampton Borough Council and Northamptonshire Police Safer Roads Team have been working together to carry out successful enforcement activities to improve community safety in the town centre. An independent survey of the number of licensed taxis in Northampton could take place next year. A restrictive covenant on a former pub could be amended to allow for the development of a new convenience store in Rectory Farm. Keen gardeners from schools, business and streets and houses right across Northampton will be honoured for their efforts at a ceremony at the Guildhall this Thursday (October 13). Northampton Borough Council’s Cabinet will consider measures to tackle a shortfall in potential housing delivery for the next five years. Northampton Borough Council’s Cabinet is set to decide whether to agree terms for the purchase of the former power company building at the St Peter’s Way roundabout. Stockings worn by the iconic Josephine Baker are on display at Northampton Museum and Art Gallery during October as part of Black History Month. Northampton residents are being asked to donate their time to establish and manage an emergency night shelter to provide accommodation for people sleeping rough. Northampton Borough Council (Environmental Health) have signed an agreement to provide professional business support to Poundland, Europe’s largest value general merchandise retailer. A week of free events and activities is set to take place around Semilong and the Regent Square area, from Monday 10 to Saturday 15 October. Colleagues from Northampton Borough Council will be taking part in a memory walk to raise awareness of dementia-related issues on Thursday, 6 October. Northampton Borough Council is proposing to introduce body-worn cameras for town centre staff to help improve standards of safety and cleanliness in Northampton. Members of the public are being asked to contribute their views on the Local Plan. The popular Frost Fair will be returning to Northampton’s Market Square twice this winter, on Sunday 27 November and Sunday 4 December. Shoppers and visitors to Northampton will be able to experience the best of Northampton’s local businesses under one roof at the St Giles Fair, on Saturday 22 October. The Boundary Commission for England is conducting a review of parliamentary constituencies. A week of free events and activities is set to take place at various locations throughout Lings, from Monday 12 to Saturday 17 September. 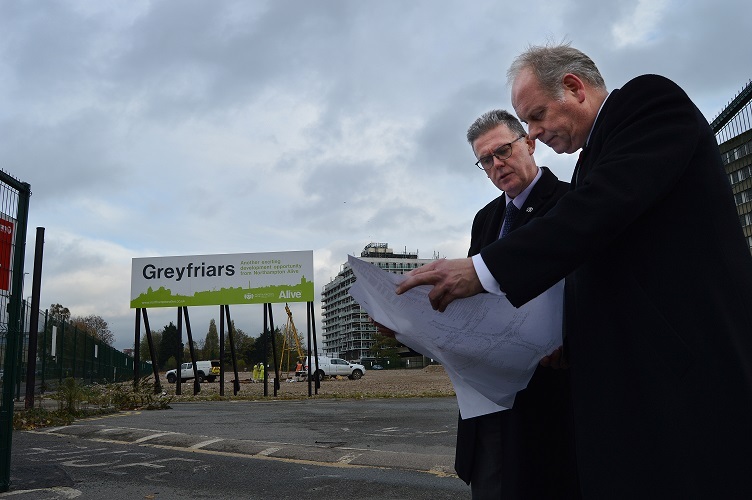 The recommended developer for the Greyfriars site in Northampton town centre is to be decided by Northampton Borough Council’s Cabinet next week (Wednesday 7 September). A public consultation on a vision for Northampton for 2029 will be discussed as part of the next stage in the development of a new Local Plan for Northampton. Following a successful pilot over the Christmas period, Street Marshals are working in Northampton to help make the town centre a safe and enjoyable environment for a night out. Northampton Borough Council has welcomed the announcement today that the owners of the St Edmund’s Hospital site are to begin work to clear it and make it safe. Work will begin on Tuesday 19 April. There is planned website maintenance activity taking place on Wednesday 2 March. The work will start at 10pm and is expected to take four hours to complete. There is planned website maintenance activity taking place on Wednesday 24 February. The work will start at 10pm and is expected to take six hours to complete.